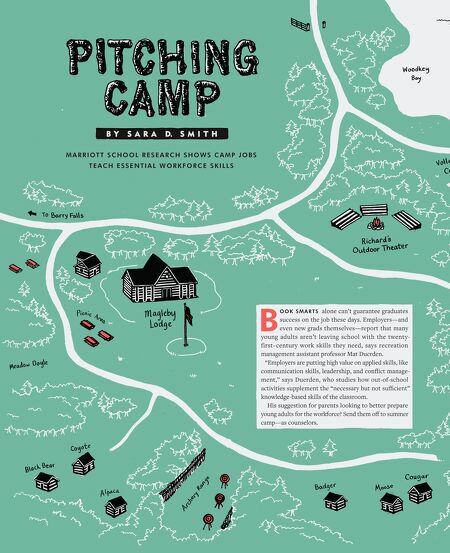 Pitching Camp by Sara D. Smith Marriott School research shows camp jobs teach essential workforce skills Book smarts alone can’t guarantee graduates success on the job these days. Employers—and even new grads themselves—report that many young adults aren’t leaving school with the twenty-first–century work skills they need, says recreation management assistant professor Mat Duerden. “Employers are putting high value on applied skills, like communication skills, leadership, and conflict management,” says Duerden, who studies how out-of-school activities supplement the “necessary but not sufficient” knowledge-based skills of the classroom. His suggestion for parents looking to better prepare young adults for the workforce? 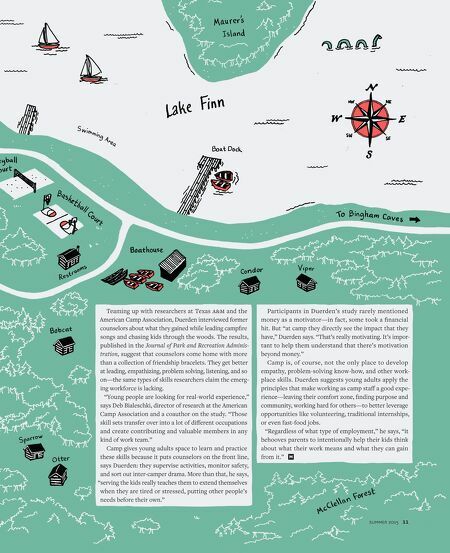 Send them off to summer camp—as counselors.